Built with extraordinary craftsmanship, paired with stylistic visual cues, luxury watches are more than just accessories on your wrist; they’re works of art which you can walk around with and show off your distinctive tastes. Therefore, it’s no wonder names like Rolex and Patek Phillipe stir emotions in almost every man, regardless of if they are watch fanatics or not. So, if you’re looking for a reliable timepiece that’ll reflect your wealth and taste, you need to know these luxurious watch labels. They are peerless for in both design and engineering, these names ooze status and grandeur. We’ve rounded up the best watch brands that your money can buy. 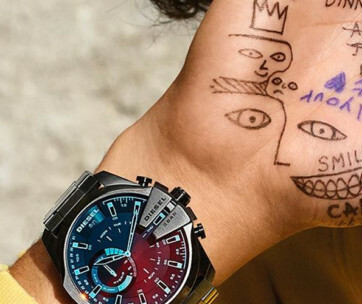 These are the top luxury watch brands you need to know. Founded in 1875 by Jules-Louis Audemars and Edward-Auguste Piguet, Audemars Piguet builds only 36,000 pieces of their impressive timepieces a year. Luxury labels such as Tiffany & Co and Bulgari all use this AP’s movements in their own watches. AP is also known for building the world’s first steel luxury sports watch named the Royal Oak back in 1972. Today, the Royal Oak is still one Audemars Piguet’s bestseller, and is worn by famous names such as Usher and Ellen Degeneres. A subsidiary of esteemed Swiss watch conglomerate, the Swatch Group, Blancpain is another brand that is over two centuries old. First created in 1735, Blancpain carries a rich history. During the 19th century, Blancpain underwent a modernizing renaissance both their production and innovation. Today, Blancpain offers a diverse range of watches from minimalistic style watches to stunningly elaborated timepieces. With roots dating back to 1868, IWC Schaffhausen is a brand that builds premium Swiss watches. The Big Pilot is one of IWC’s bestselling watches, thanks to the movie Top Gun, and its rich heritage in military aviation. IWC manufacturer pairs engineering precision with iconic classical design cues to create watches that carries signature design and reliability. Remarkably, IWC has expressed a deep dedication to create watches with superior standards while maintaining a low environmental footprint. This includes supporting Cousteau Society in the preservation of ocean life. No other watch brand is as synonymous as luxury than Rolex. Acclaimed internationally and highly-coveted across society, Rolex watches are prized for their value in the watch market, thanks to their enduring form and functionality. Rolexes are arguably the most prevalent watch in popular culture today. Rolex carries its British roots in their iconic design and is featured on Forbes’ list of world’s most powerful brands. Today, Rolex is the largest single luxury watch brand in the world, producing 2,000 watches in a single day. Founded in 1860 in Florence Italy, Panerai designs timepieces that are known for their bold styles and simplistic elements. Panerai’s signature design cues include the crown guard and the large Roman numerals on a black dial. While opinions on Panerai’s design are divided among watch enthusiasts, they can all agree that Panerai’s design identity is strong and is a great addition to anyone’s watch collection. Piaget SA was founded by in 1874 by Georges Edouard Piaget in La Côte-aux-Fées, Switzerland. With humble beginnings from a small watch workshop on a farm, Piaget is renowned for their slim, avant-garde watch designs using incredibly unique materials, and precious stones to craft flashy dial faces. Piaget also built the world’s thinnest hand-wound mechanical watch of its time, the Altiplano 900P. The TAG Heuer name is a combination of an abbreviation of ‘Techniques d’Avant Garde’, as well as its founder’s last name, Edouard Heuer. 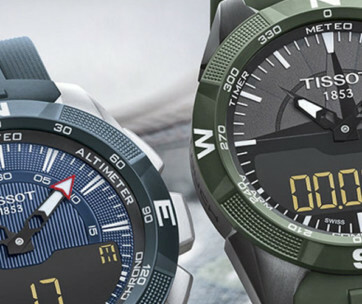 This Swiss watch is known for creating cutting-edge modern sports watches, blending modern technology with bold designs. TAG also manufactures eyewear, mobile phones and accessories. TAG Heuer continues to reinvent watches by being one of the first luxury brands to explore the smartwatch market. 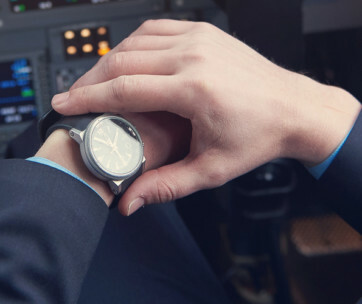 In 2017, TAG introduced the Connected Modular series of smartwatches, featuring Android watches that allow users to mod and upgrade using modular parts. Founded in 1884, the name Breitling is commonly associated with aviation. Over the years, Breitling has made lots of watches which contain features used by military pilots. But what most people don’t know is that Breitling has also designed watches for divers, lending to its versatility and innovation in watch production. Nowadays almost everyone wears a chronograph watch, but not everyone knows Moinet was the one who invented it. Louis Moinet led a colourful life. He wasn’t just a watchmaker but was also an artist and sculptor. Louis Moinet’s spirit lives on thanks to a modern revival of his name as a brand of prestigious watches. With its headquarters located in Switzerland, the name Moinet now stands for a high-end watch brand priding itself on marrying exotic materials with innovative technology. Tudor started as an independent watch brand until it became a subsidiary brand of Rolex several years later. For many years, Tudor was commonly seen as a poor man’s substitute of the prestigious Rolex. But don’t let that fool you. 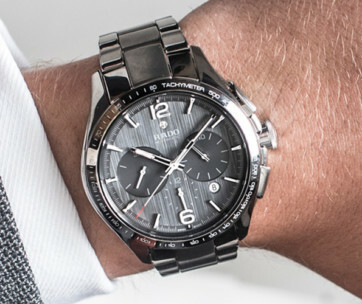 Tudor watches are well constructed, stylish and provide excellent value, making them a perfect choice for gents who appreciate quality and elegance without an excessive price tag. A.Lange & Sohne was first created in 1845 by Ferdinand Adolph Lange. The brand is known for using only mechanical movements, contrasting other watchmakers who prefer the precision of quartz movements. A.Lange & Sohne watches usually feature cases that are constructed from diverse gold tones such as platinum, yellow gold, white gold and rose gold, white gold and platinum. It is a brand synonymous with high craftmanship and the coveted wow factor. In the horology world, Hublot is the new kid on the block compared to most other luxury brands. Founded only in 1980, Hublot has forged an impressive track record despite its relatively young age (compared to the watch heavyweights above). Hublot watches have found their way onto the wrists of some of the world’s most famous people such as Usain Bolt, Kobe Bryant, Jay-Z and even Arnold Schwarzenegger. Baume & Mercier watches are built for men who want to own a luxury timepiece, but without emptying their savings account. 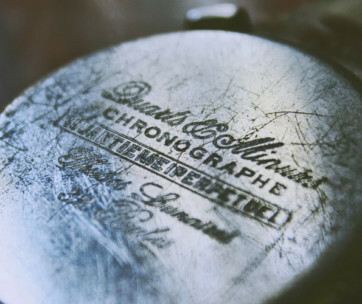 This brand has been producing and selling quality timepieces for almost 200 years. Today, B&M continues to combine modern sensibilities in with their ancestral watchmaking heritage to build quality watches. Another newcomer in the luxury watch world, Roger Dubuis blends avant-garde style with intricate Swiss engineering. Even after the death of Dubuis in 2017, the bold designs of RB have allowed the brand to carve themselves a place in the luxury watch market. Recently, RB has announced a collaboration with Lamborghini to produce timepieces, continuing Dubuis’ legacy of innovation and design in horology. Short for Montres Corum Sàrl, Corum is a luxury watch label that specialises in bold designs and reliable mechanics. The brand’s range of timepieces extends from fantastic mid-range designs to stunning limited edition toubillions. With such a diverse range of watchmaking skills, Corum is widely appreciated as a favourite of both regular gentlemen as well as serious watch fans. As a brand commonly associated with aviation, the Bremont Watch Company is an originally British brand that has spread it wings across the globe. Since 2002, brothers Nick and Giles English have created military themed watches. Bremont has even shown their recognition and appreciation for military serving people, by building special edition watches for members of the armed forces. Purchases of these special edition watches are restricted to those who have flown in the subject aircraft, served in the military units commemorated or, in one case, served on board a particular warship. Omega is a brand synonymous with all things masculine. When you see Omega, you can’t help thinking about the James Bond, or the first moon landing. Omega has earned its stripes with its involvement in major historical events, as well as on the movie screen, making it the top contemporary choice for the discerning gentleman. Here’s a fun fact – Armstrong didn’t wear his Omega Speedmaster when he first stepped on the moon. It was Buzz Aldrin who wore the first watch on the moon. When you think of French watchmaking, Cartier immediately comes to mind. Founded in 1847, Cartier is undeniably one of the most iconic watch and jewellery brands in the world, especially due to its reputation in the mainstream media and celebrity cult status, making the brand as synonymous with Paris as the Eiffel Tower. 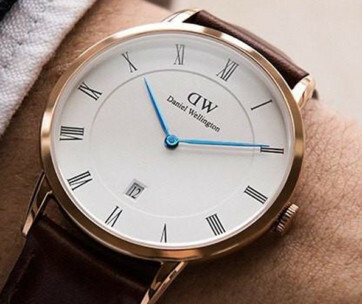 The brand’s renowned watches proudly feature distinguished and classic distinction and design, which is represented through its high-end materials and typical roman numerals. When it comes to making a luxury watch purchase, you can’t go wrong with a Cartier. Bregeut is the luxury watch brand founded by Abraham-Louis Breguet in Paris in 1775 after he studied the intricate art of fine watch making from Ferdinand Berthoud and Jean-Antoine Lépine for ten years. Now the brand is owned by none other than Swatch. Bregeut is known for their gorgeous round face watches that tread that super fine line between modern and traditional. Bregeut watches often have stunning leather straps as opposed to the metal straps preferred by many of its rivals. For those that have even a passing interest in luxury watches, the name Patek Philippe needs no introduction. The Swiss luxury watch maker is known throughout the world for making some of the most intricate, elaborate and most beautiful luxury watches. It is considered by many watch aficionados as the premium, leading luxury watch brand and many consider it to have surpassed Rolex in brand reputation in recent years. Patek Philippe watches have a distinct look. They are often imposing, impossibly intricate and incredibly striking. It comes as no surprise that brand also has legions of celebrity fans which include Charlie Sheen, Brad Pitt and Nicolas Cage.